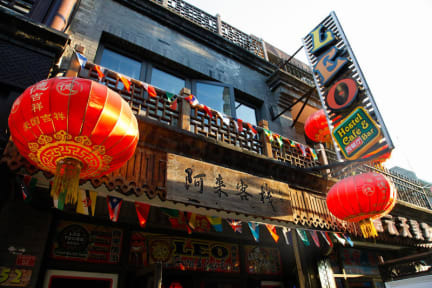 Leo Hostel i Beijing, Kina: Bestill nå! Most of the facilites at Leo were fine, but the 6 person mixed dorm was way too small. There was not enough space on the floor to even leave my luggage and there were no lockers in the room. Maybe some outside, but I couldn't find them.. The location of the hostel was great. Walking distance to a lot of sights and to the metro. However the staff was quite rude, which made the whole experience a lot worse than it would have been if they were more helpful. No kitchen, and the aircondition didnt work the first day (this was fixed tho). The bar was nice with decent prices. The great wall tour was really nice, but it would definitely have been nice if the staff told us in advance that we had to hike 6 km (3 of them straight up).